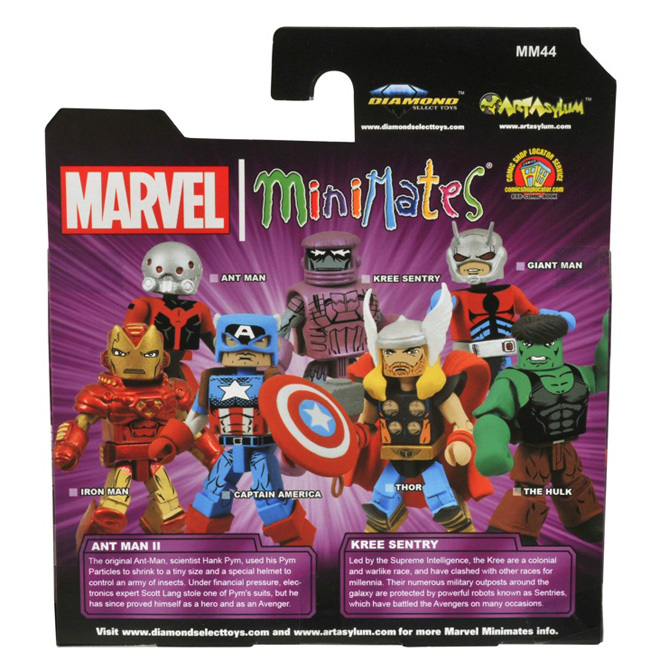 May 1, 2012 - Just in time for the Avengers movie, it's Marvel Minimates Series 44! Featuring the comic-book versions of some of the most famous Avengers, these two-packs will be available exclusively at comic shops and specialty stores starting tomorrow! Each Minimate is 2 inches tall, fully poseable and comes packed with accessories and interchangeable parts. 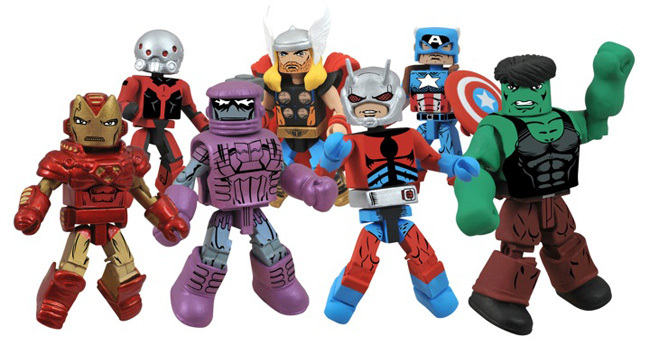 Thor comes with an alternate head, Giant-Man comes with all the parts to turn him into Ant-Man, and be on the lookout for the rare variant set featuring Ant-Man II, a.k.a. Scott Lang! Pick these figures up at your local comic shop, specialty store or your favorite online retailer! You can find your nearest comic shop at comicshoplocator.com! And get regular DST updates on Facebook and Twitter! Hatfield, PA, May 2012 - K'NEX, the only US construction toy company focused on Building Worlds Kids Love™, announced its fifth in a series of twelve contests, Mission: K'NEX 20 on 20, monthly "hunts" for secret codes on various K'NEX related web pages. Every month on the 20th day, through December 2012, K'NEX will be giving away 20 products to 20 lucky fans! On the 1st weekday of every month a prize will be revealed and a new "mission" is assigned. Missions can be found on the K'NEX website: http://www.knex.com/20thanniversary/Mission20on20/ which directs participants how to find secret codes. Once a code is found, participants must return to the K'NEX site and enter the code. If correct, they are eligible to be entered for a chance to win a prize. On the 20th of each month, when the contest closes, 20 winners will be randomly chosen from those eligible entries.